You are here: Home / 2016 Show Archive / Animals Today September 17, 2016: The film, The Champions. What breed is that dog? Looks are often deceiving! Problems abound with breed specific legislation. Iguanas, red pandas, xylitol, and explosive-sniffing dogs. We begin by featuring the award winning film, The Champions. The first segment features Director and Producer, Darcy Dennett, who has created this beautiful and inspirational movie depicting the journey of some of the more challenging dogs rescued form the Michael Vick fighting operation. Darcy is no newcomer to dogs, having been the series producer for National Geographic’s DogTown. Peter then welcomes Rebecca Huss, Professor of Law at Valparaiso University. Rebecca served as the Guardian/Special Master of the dogs from the Bad Newz Kennels case, Michael Vick’s operation. She was instrumental in overseeing the evaluations of the dogs to ensure they would be properly placed. Rebecca had firsthand contact with many dogs and her passion and dedication is evident in the interview, in which she also voices her criticism of dog breed discriminatory legislation. More information about The Champions is here. Lori continues with a fascinating review of research on the pitfalls and limitations if correctly identifying the breed of a dog by visual inspection, a common practice. 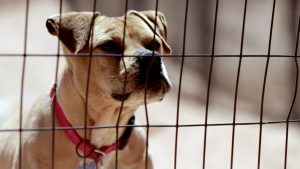 Mislabeling or misidentifying occurs frequently, and impacts on how people perceive the characteristics of dogs, on adoption rates and even on breed specific legislation. And, September 8th was National Iguana Awareness Day and September 19th is International Red Panda Day. Lori and Peter discuss both of these interesting creatures. They then remind us that the sweetener, xylitol, found in many foods and chewing gums, is very dangerous to dogs. The show wraps up with a study about how explosive-sniffing dogs perform at airports, and the important factors to keep them performing at their best.